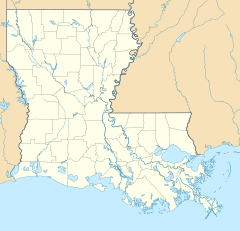 Aillet House is a historic plantation in Port Allen, Louisiana, USA. It was built circa 1830 with bousillage. It belonged to Jean Dorville Landry, a sugar planter prior to the American Civil War of 1861-1865. It has been listed on the National Register of Historic Places since August 9, 1991.